The government has announced an increase in HomeStart and Welcome Home Loan house price cap in of one of the most expensive areas for purchasing a home. 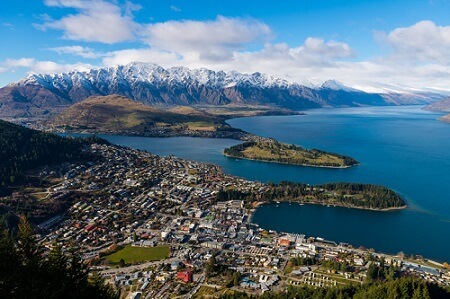 Price caps in the Queenstown Lakes District will increase to $600,000 for existing homes and $650,000 for new builds, previously at $500,000 and $550,000 respectively. The move aims to enable more first-home buyers to get onto the property ladder. According to Housing and Urban Development Minister Phil Twyford, the adjusting HomeStart house price cap in the district, which has the highest median house price in New Zealand, gives buyers a fair chance at accessing the grant. “These changes are the result of a request from National’s local Clutha-Southland MP Hamish Walker, who wrote to me highlighting the discrepancy between Auckland and Queenstown’s HomeStart price caps,” Twyford said. The minister expects the adjustment to the price cap to complement housing supply, particularly as the KiwiBuild programme ramps up. The changes come into effect starting September 17.